The excursion to the Valley of the Kings is the highlight of your vacation to Egypt. As you crawl through the narrow passageways, you lose the rest of your tour group. Entering a mysterious burial chamber, a massive stone door closes behind you! 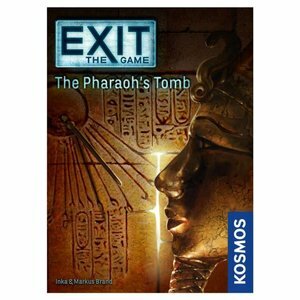 On the floor lie a dusty notebook and an ancient disk... Exit: The Game brings the hit Escape-Room concept for home use! In this party game for up to six players, you must solve a series of riddles and puzzles to escape.